With only 2 days until the implementation of the ADR Directive, England fans are looking at their options to complain following their team’s sorry performance against the formidable Welsh on Saturday. They are questioning captain Chris Robshaw’s decision to go for a try in the closing minutes rather than equalising the game. Many who have bought tickets for the final are upset that they may now be watching Wales instead and being forced to sing such classic anthems as Delilah with Sir Tom Jones gloating from the touch line. Sadly for them however, there is no contractual relationship with the England Rugby Team and so they will not be able to get their money back. They may have more of a justified complaint about the ticket prices, having paid more than any previous sporting events for the tickets, with the average price of a normal ticket more than £104 conpared with £94.40 for World Cup in Brazil and £87.48 at 2012 Olympics. Fans also face paying premium prices for food, drinks and radios, while matchday programmes will cost £10. There have been increases reported at venues around the country, except traditional rugby ground with the prices of food and drinks increasing by up to 20 per cent. Beer prices have also been increased by £1 due to Heineken’s sponsorship of the tournament. The prices of matchday radios has also been increased by up to 25 per cent. 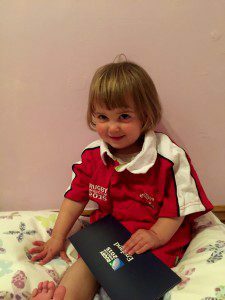 To add insult to injury, parents hoping to take babies and toddlers to Rugby World Cup games have been left furious after being told that their junior offspring and rugby officianados will need a ticket. Some parents whose children were not even born when the tickets first went on sale have complained it will now be virtually impossible to find them a seat. Babies and toddlers have often been allowed into rugby internationals for free if they do not need a seat, but tournament organisers say the measure has been put in place for “safety reasons”. On a serious note, ticket sellers, theatres and cinemas and all event organisers will need to offer ADR to customers whose complaints cannot be resolved from 1 October.